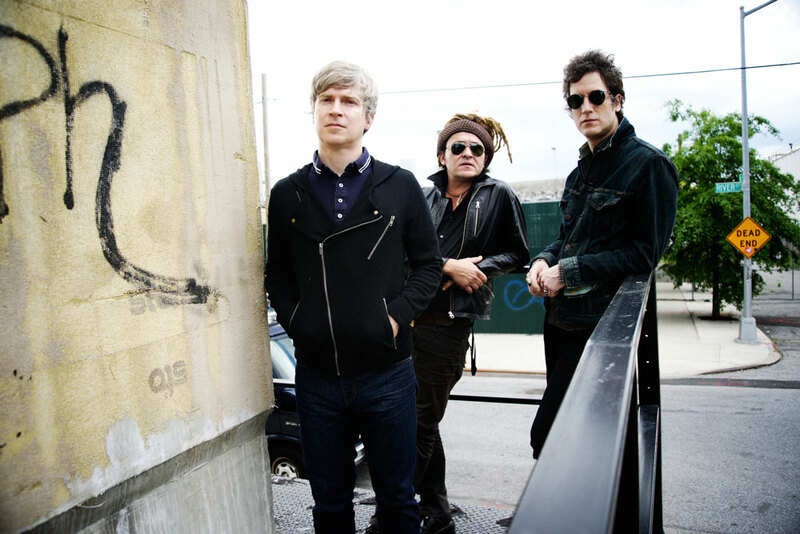 Nada Surf decided to treat their fans to a well-known and time-seasoned specialty in 2019 by announcing 20 tour dates across Europe and US to celebrate the 15th anniversary of their album "Let Go". The European leg will kick off in Amsterdam on February 01 and will comprise 13 live events in 17 days. Starting from March 07 Nada Surf will fly to the North America to play their concerts in Washington, Brooklyn, Philadelphia, Boston, Toronto, Chicago, and Minneapolis. The live gigs are labeled under the slogan “An Evening with….” and the concerts' setlist will feature “Let Go” in its entirety. The forthcoming tour will have no special guests or support acts. Celebrating the release of their new album, alternative rockers Nada Surf were last touring in 2016 with a series of live concerts across Europe and North America. The group had the party started within mere days of March 4 album release with a set of two hometown shows in New York - March 7 at the City Winery and March 8 at The Bowery Ballroom. Then at the end of the month, the gang switched grounds and headed over to Europe to rock the old continent for a whole month, paying a visit to Germany, UK, France, Italy, and more. Following a two-week break, Nada Surf stormed the US throughout the second half of May and early June, rocking out in Kansas City, Dallas, Los Angeles, and a number of prominent stops in the US. Toronto standed out as the tour's sole Canadian date, while the run's final show was been booked for June 4, live at the Paradise Rock Club in Boston, MA. After finishing the North American leg of 2016 Tour Nada Surf were switching their sights to Europe. The American alternative rock band performed at Zermatt Unplugged Festival in Zurich, Switzerland on October 29. It was their starting point of the 30-trek tour. Slated for March 4 release via City Slang Records, the band's eighth official studio album is titled as "You Know Who You Are." It was announced with the lead single "Believe You're Mine," which saw the group expressing their signature style and delicate, yet rough emotions and style. Band leader Matthew Caws said he is thrilled with the way the record turned out, pointing out that the lack of pressure and deadlines to wrap the whole thing up made a positive mark on the music both in creative and production terms. The record features a total of 10 fresh songs, including the mentioned lead single, as well as "Cold to See Clear," "Friend Hospital," and "Out of the Dark." The effort comes as a follow-up to 2014's "B-Sides," which served as a collection of five acoustic versions of tunes from 2012's "The Stars Are Indifferent to Astronomy." Based on the initial comments and reactions, fans are praising the new album as yet another intriguing chapter in the NS opus. Founded back in 1992, Nada Surf came to be as a brainchild of frontman Matthew Caws (guitar, vocals) and bassist and backing vocalist Daniel Lorca. After briefly collaborating with a guy named Dan on drums, who was soon replaced by Aaron Conte. Mr. Conte didn't stay long either and was soon succeeded by Ira Elliot, who remains behind the battery kit to this very day. This lineup went on to release six albums that defined what Nada Surf is about. The family was expanded in 2012 with the addition of the fourth member on the band's seventh album - Mr. Doug Gillard on lead guitar, formerly of Guided By Voices. The guys have forged their musical pack in the city of New York. Their name is a reference to their few on human existence and being lost in space, or just surfing away through the cosmos with seemingly no grand goals. To this day, the four-piece is still operating from the Big Apple. The style of Nada Surf can be briefly described as bonafide raw alt rock with a variety of indie rock influences. They were never afraid to inject their music with elements of other styles, most notably classic pop, yet they always stayed true to their roots and stuck to smaller local scenes and select crowds of passionate music lovers. Their live gigs are highly energetic and really prove that the boys are passionate about what they do. A life of a musician can be rough, but their live shows make it obvious that those two hours make all the hassle worthwhile. Despite being active on the scene for over two decades, the group remains very productive in terms of touring and studio work, with a significant portion of fans praising their latest releases as the finest musical pieces in the history of the group. If you are wondering about what to expect from a Nada Surf's concert, the answer would be rock and passion. The group has a total of eight studio releases under their belt. Their debut album was presented around four years after the band formation - on June 18, 1996 via Elektra under the title of "High/Low." Unlike many alternative bands out there, the Surf gang actually scored a major-label release with their first album. The major label route didn't last long, a total of three albums to be precise. 1998 saw the release of their sophomore album, "The Proximity Effect," while four years later "Let Go" was presented as the band's third studio effort. In 2005 "The Weight Is a Gift" came to be as Nada Surf's first indie-label release, and was followed by "Lucky" in 2008 and "If I Had a Hi-Fi" in 2010. Kicking off the new decade, the group presented "The Stars Are Indifferent to Astronomy" in 2012 and 2016's "You Know Who You Are."